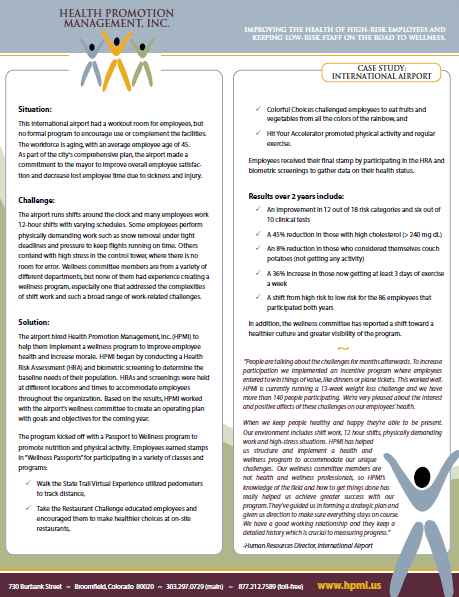 This international airport had a workout room for employees, but no formal program to encourage use or complement the facilities. The workforce is aging, with an average employee age of 45. As part of the city’s comprehensive plan, the airport made a commitment to the mayor to improve overall employee satisfaction and decrease lost employee time due to sickness and injury. Jefferson Center is a not-for-profit community mental health center serving three Colorado counties. They have both contract and non-contract staff in several administrative offices and community centers covering a wide geographic area. 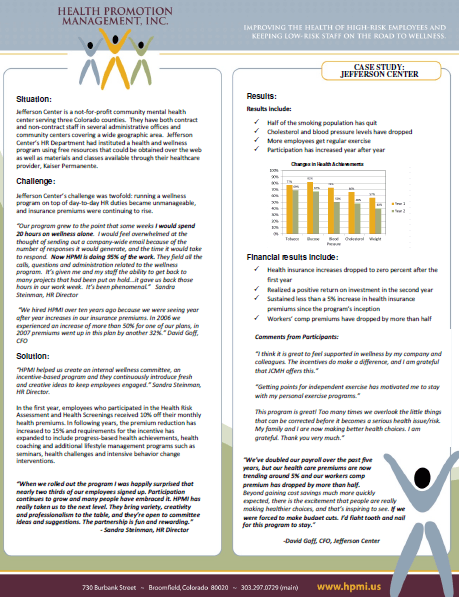 Jefferson Center’s HR Department had instituted a health and wellness program using free resources that could be obtained over the web as well as materials and classes available through their healthcare provider, Kaiser Permanente. The Myron Stratton Home provides assisted and independent living, supportive services, and grants to improve the quality of life for older people with a limited income. 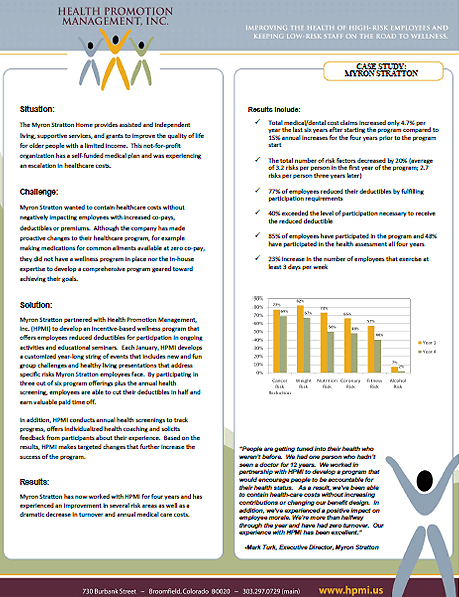 This not-for-profit organization has a self-funded medical plan and was experiencing an escalation in healthcare costs.